As you already know our work is filled with fun, happiness, a colorful approach towards life, safety and great ideas. 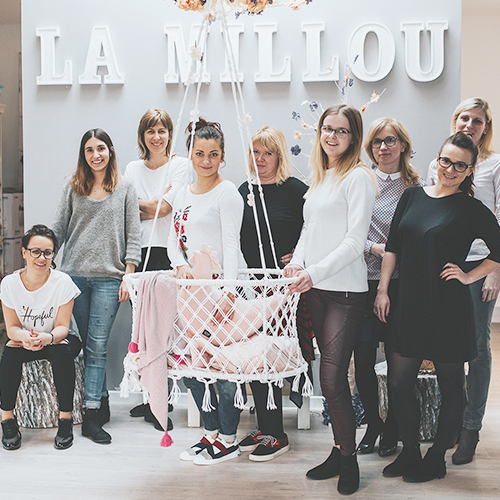 The greatest of them all, at least for us, was of course the idea of starting La Millou. And from the very beginning we strongly believed that if the company manages to produce any income, we will invest some of that income into causes that matter. We cherish relationships. Not only with our suppliers and distributors, but most importantly: with our dear clients and the world around us. 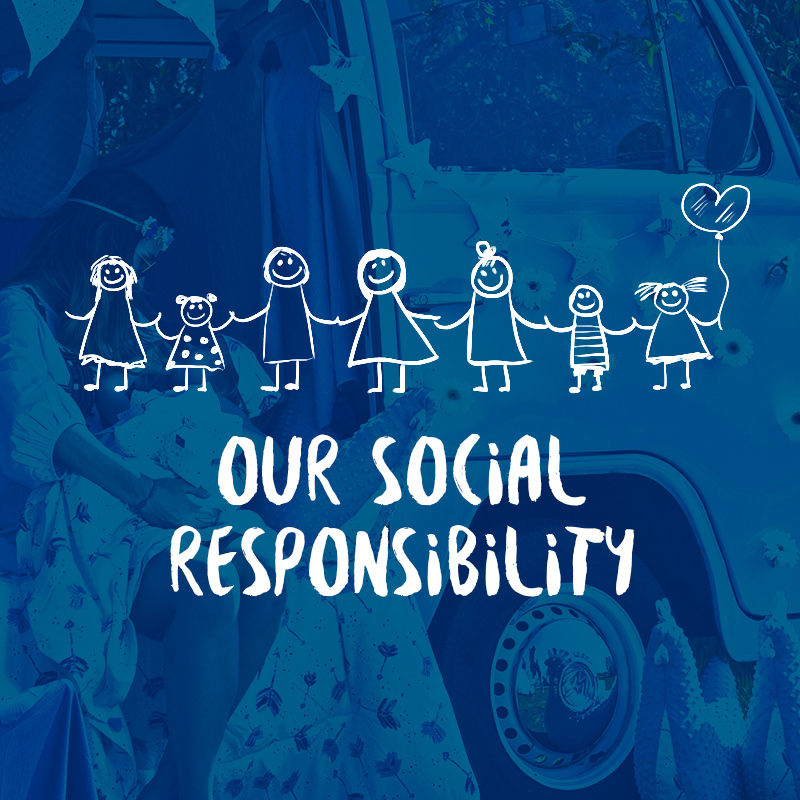 It's important, because we also trust that whenever we are able to share our joy, happiness and everything we've worked for so far, we will be able to make the world a better place for those who are less fortunate. We focus on helping children, as they are the most fragile and the least capable of fighting to defend themselves from any dangers that they sometimes face. Uncompromising quality standards and unique designs. We are Fair Trade and offer products for children, infants and parents. Our portfolio envelopes blankets, pillows, bags and purses, and even room decorations. Among many other items. What makes us special is the level of quality we offer - for you, it means that the products will be there when you need them for many years to come. And we're not talking just about the fabrics, but also about the design and in turn: the multifunctionality and safety standards of our products. Long-term relationships with our subcontractors translate into maintaining the highest level of quality, but also into being very flexible. We can modify and update our designs extremely fast without loosing any confidence in their quality. This way we make sure that what you get will be up to La Millou standards. We offer products for children, infants and parents. 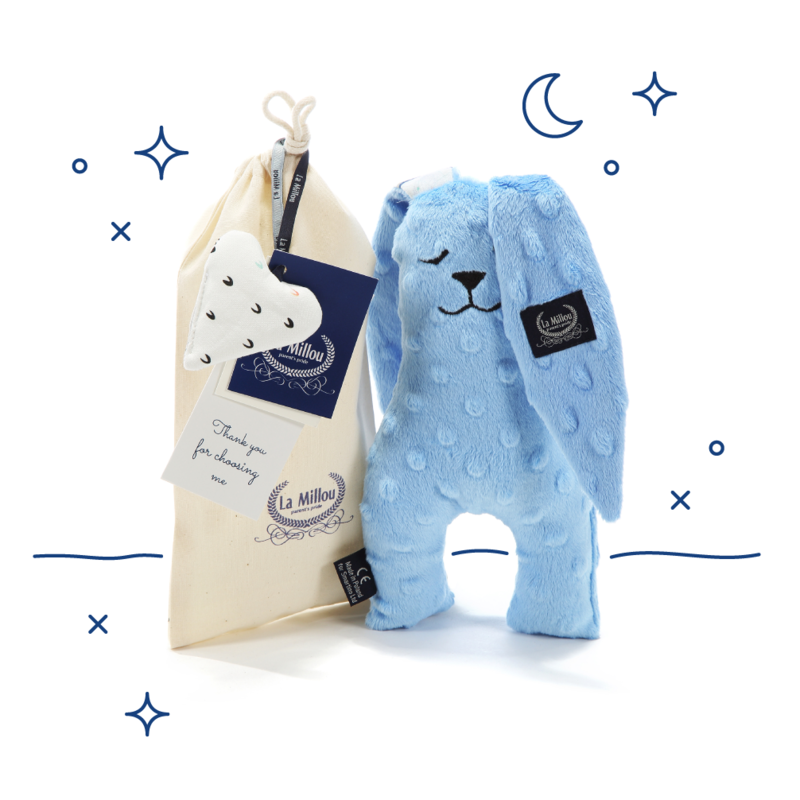 Our portfolio envelopes blankets, pillows, bags and purses, and even room decorations. Among many other items. What makes us special is the level of quality we offer - for you, it means that the products will be there when you need them for many years to come. And we're not talking just about the fabrics, but also about the design and in turn: the multifunctionality and safety standards of our products. We are more than just an aesthetic, trendy addition to your life - what we offer is ergonomic and well thought through. 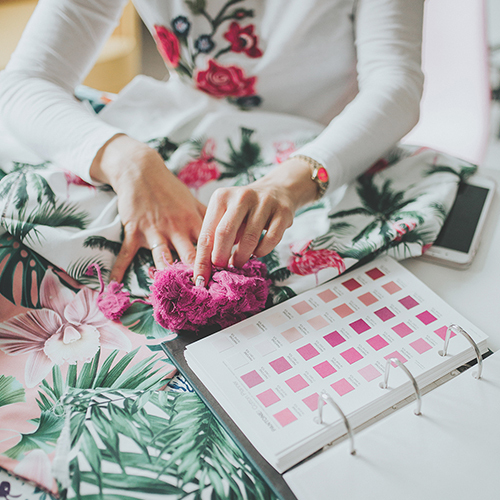 All of our products are prepared with a lot of care and diligence - most of them are hand-sewn and decorated individually. Yes, we're Polish, born and bred. And we're proud of it. That's why everything we make is produced locally, in companies we have not only tested for the quality of the work they do, but also for what kind of conditions the company offers its employees. If our products are going to be good, we need to make sure that they are produced in a good and respectful way. You can rest assured that we will not one day migrate our production process to China, Bangladesh, Cambodia, or India. It would mean a huge sacrifice in what we believe in, as we would have no control whatsoever over what happens to people who work for us. We sometimes buy ready-made elements (e.g. from a haberdashery), but only after having thoroughly checked that whoever we work for has a similar mindset and standards to ours. We take real care of the conditions in which are products are manufactured. We make sure that the work atmosphere is friendly and professional, and are always fair towards our subcontractors. Whom, by the way, we very often visit. 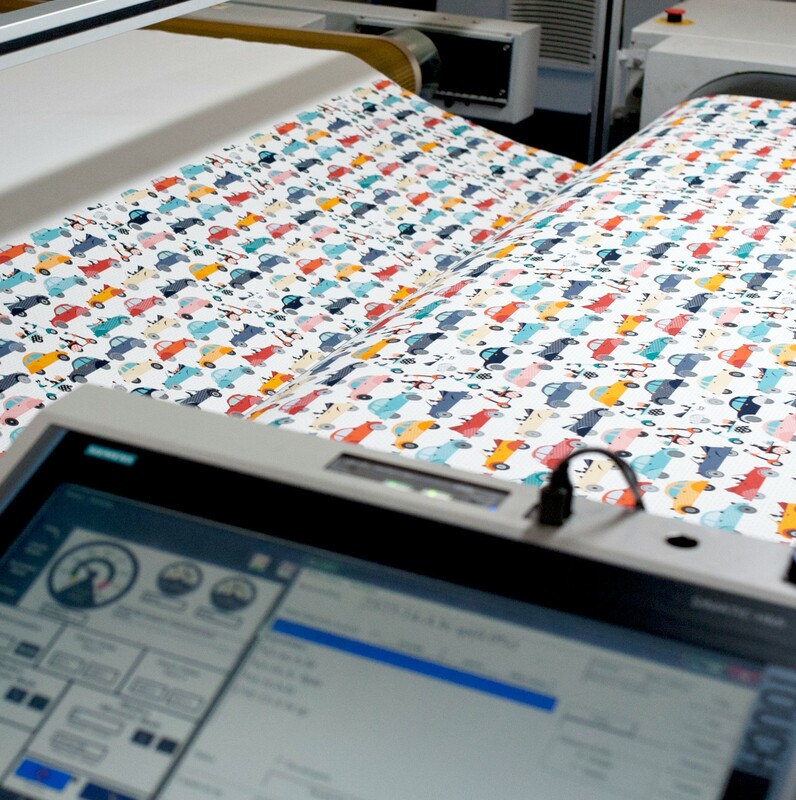 Those trips allow us to participate in the production process from the very first inch of the fabric that's being made for us. What, and how, we do things to make sure we combine our joy of creating things and public responsibility? We are well aware of the fact that we're just a tiny cog in a huge mechanism, but we also strongly believe that even the tiniest of actions can make a difference. We learn from the best and we want to share the best with the world. Preterm Babies from the Department of Neonatology of the Institute of Mother and Child – We want all preterm babies to be taken care of. That's why, following a favor that we promised to a well known physiotherapist: Mr. Paweł Zawitkowski, we have designed and produced a hundred covers for rehabilitation bags. The covers are made of skin-friendly and super soft bamboo fabric. We hope that at least this way we can support and help the preterm babies during their rehabilitation. Parenteral Nutrition Children's Foundation – we had no clue about the life of these kids, but one of our clients has shed some light on this matter and we decided that we want to help these children in the best way we can. 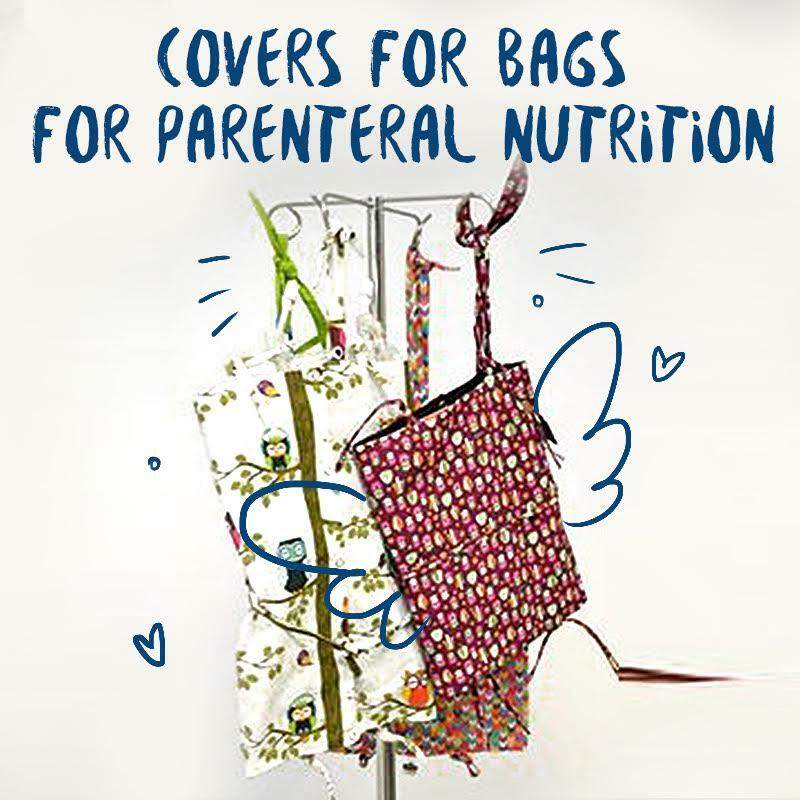 So, we came up with the idea of colorful cover bags for parenteral nutrition modules. More than 300 of such extraordinary covers were distributed via the Foundation to all families affiliated with it. Children with Ondine’s Curse – Children who suffer from this rare, respiratory disease require constant ventilation support. We have learned about these children from actress Monika Kwiatkowska and one of the moms who owns a store with our products - Emilia Wielgosz. We're no doctors, but we know for sure that if you want to experience smooth sailing, you'll need favorable winds. That's why we organized special boat races for the children and we presented each of them with our blanket and jacket. 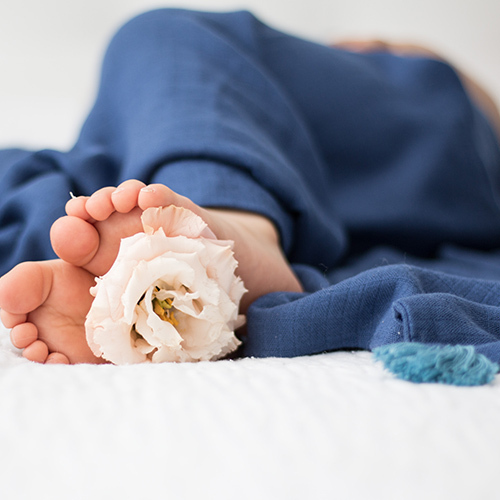 Our products can't cure anybody, but they guarantee a smile and a good night's sleep. We take real good care of the conditions in which are products are manufactured. We make sure that the work atmosphere is friendly and professional, and that we are always fair towards our subcontractors. Whom, by the way, we very often visit. Those trips allow us to participate in the production process from the very first inch of the fabric that's being made for us. Mostly those are small businesses that appreciate the value of a given word and deadlines. We love working with such partners and we repay them with kindness and honesty. They are paid on time and in full amounts. We're not the kind of company you'll have to keep calling only to hear that our accountant is unavailable and will be back next week. Fact. We are in love with a lot of fabrics and materials we use. Fact. We can't stand some of the materials out there. For example: plastic bags. This is why our products are packaged in linen and cotton bags, making them last forever - they can be used for virtually anything you want. We also make sure that we don't produce and have anybody pick up tons of useless production waste from our company - we do all we can to use every last scrap of fabric from every roll we have - the leftovers are used to produce our heart tags, which you then find with our every order. We are as happy as a company as every individual person within it. We know from a lot of past experiences that one can only release their creativity when they are free to do whatever they want. With freedom comes real engagement, effectiveness, happiness and fulfillment. Almost 80% of our amazing team is comprised of young women. Most of them are moms. And that's great, because we understand oh-so-well that from time to time the baby needs a little extra attention, gets sick, or the babysitter cannot make it on time, or at all, on that particular day. Well, no problem, we're a flexible workplace - it's totally ok to come to work with babies and children, or work from home, should that be a more suitable scenario.